Hi friends, yet 2 more days for diwali... 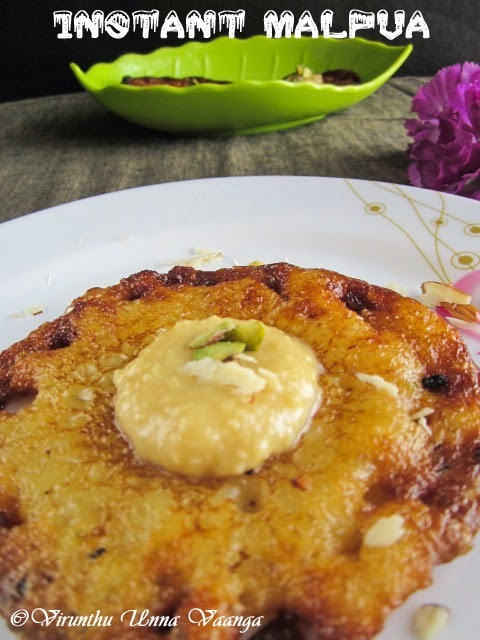 I can see everywhere full of diwali sweets and savouries. And in my place fire crackers sounds too started... But nowadays am not interested on fire crackers. In our place, the streets are loaded with crowds, mini platform shops, mobile shops and corner of my street is fully rush because of 3-4 oil shops are there. 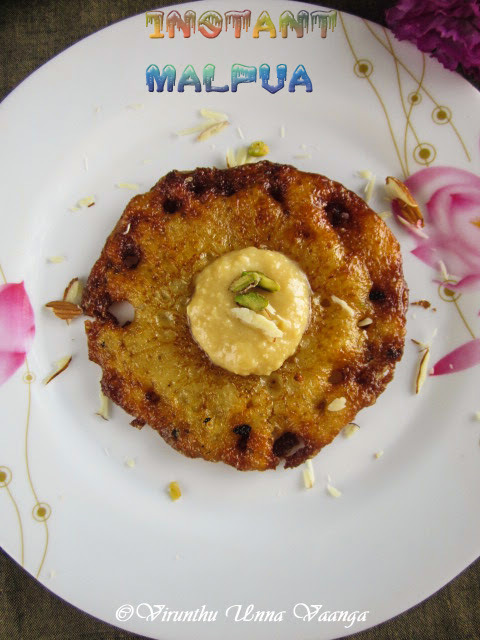 I prepared other sweet is Malpua. 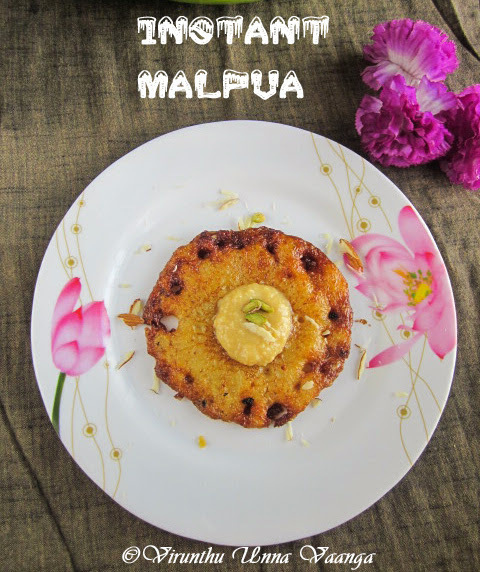 I searched for quick recipe, because I already did all traditional sweet and my energy was down while making in traditional way of Malpua, but I never give up and did instant recipe of Malpua, Wow... it’s come out really very fabulous. I love it a lot. 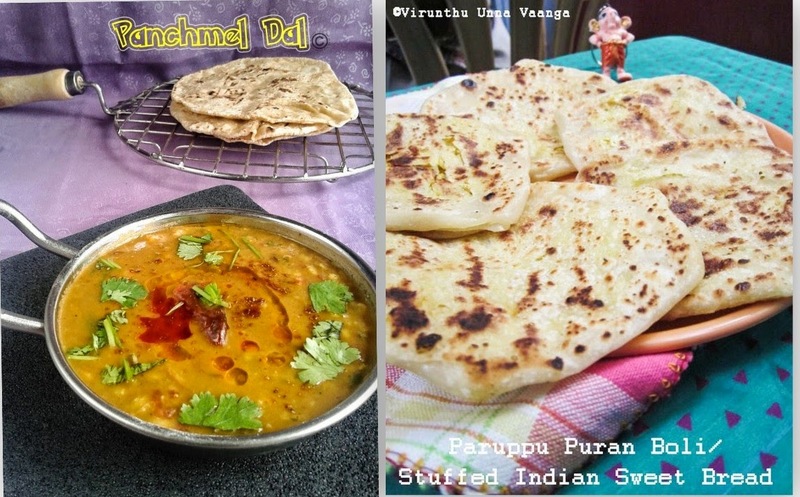 I found the instant recipe in Tarla Dalal site, while I search for the variety. 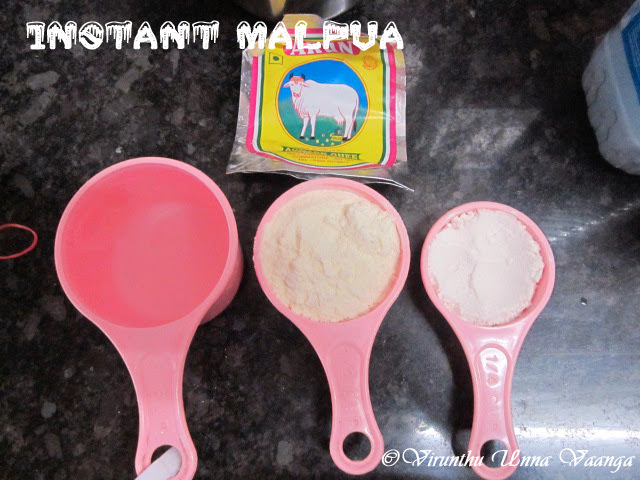 Take a wide bowl, add the milk powder, maida, ghee and mix it well. Add enough water and mix it well without any lumps. 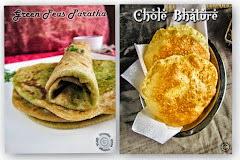 The batter should be in dosa batter consistency not too thin or thick. 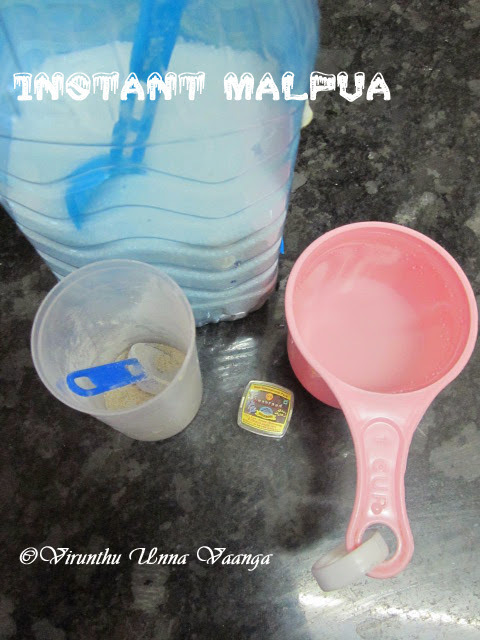 Meanwhile prepare sugar syrup by mixing water and sugar and dissolve it for 3-4 minutes. 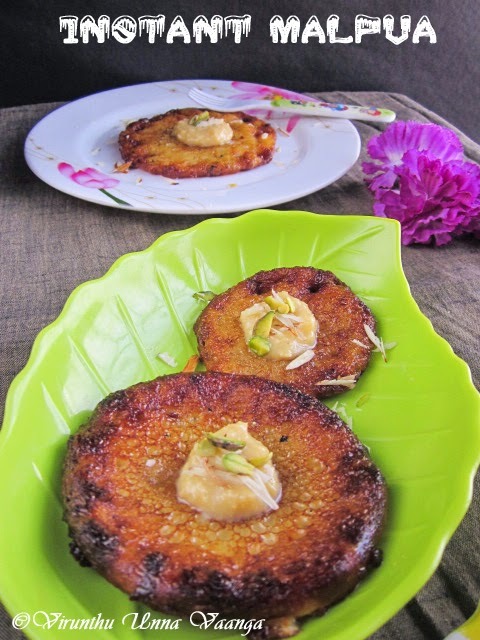 When you have sticky syrup consistency (when you touch the syrup it will be sticky, which is before the stage of one string consisntency), keep the flame on low and add saffron and cardamom powder mix it well and switch off the flame. 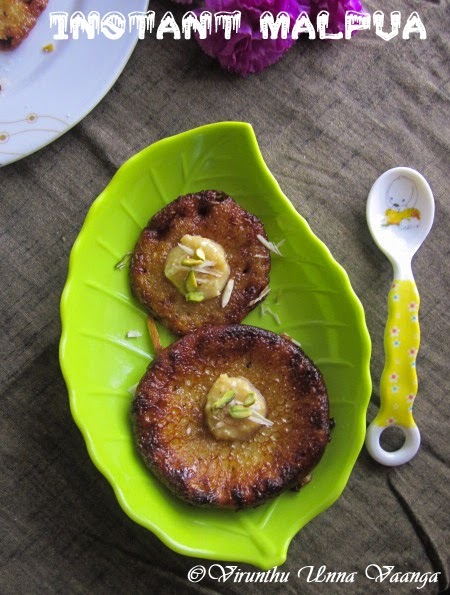 Heat oil in a pan, add ladle of batter, (like flat round shape) onto the hot oil and deep fry it both sides till turns golden brown. 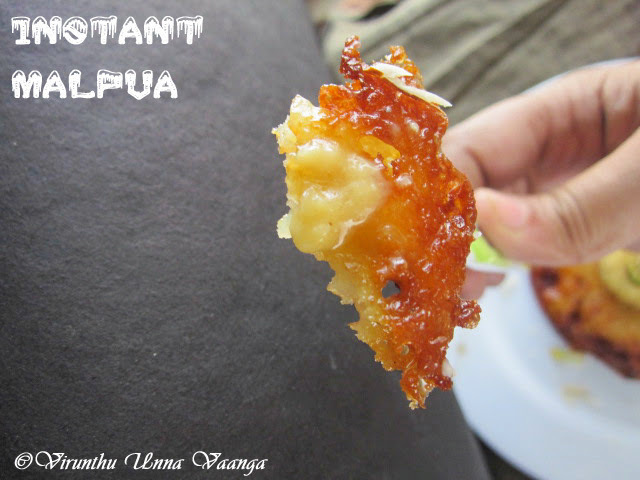 Keep it in tissue papar for a minute then dip the malpuas into the sugar syrup. 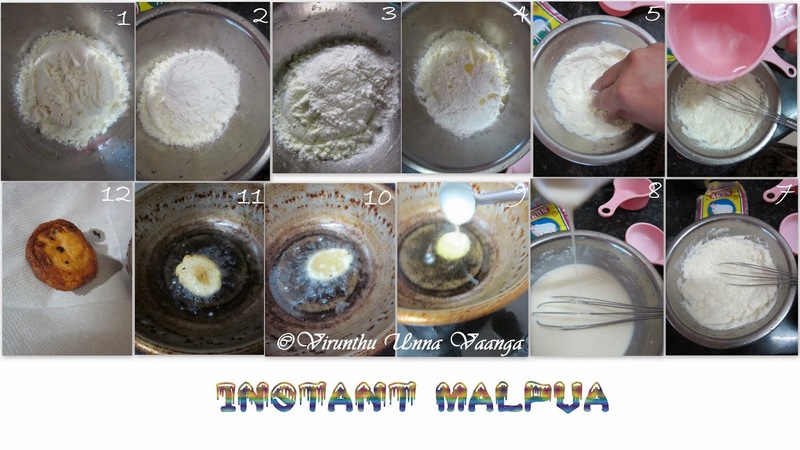 Do the same step for remaining batter too. 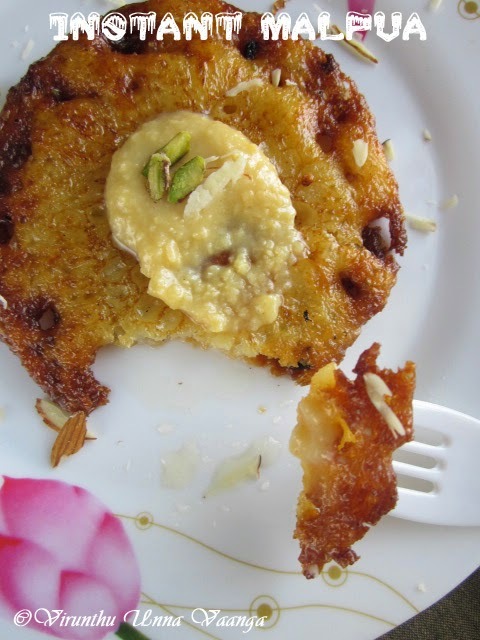 Take the soaked malpua in a plate and garnish with rabdi, almonds and pistachios and serve it warm. While adding water, add little by little don’t pour all at once. 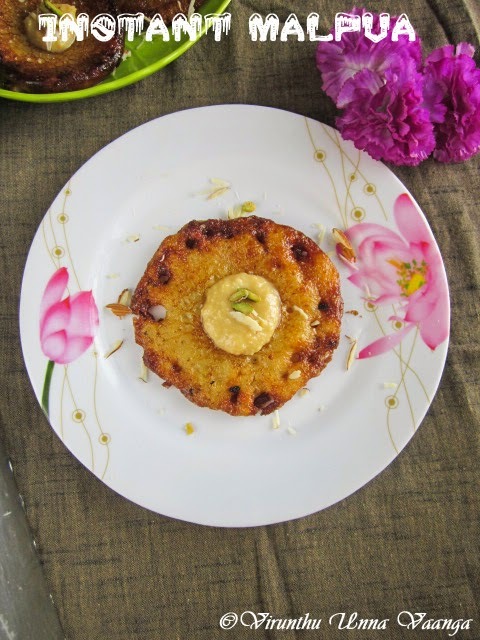 If you wish to make rabdi refer my rasmalai recipe, there I have given the Rabdi recipe. 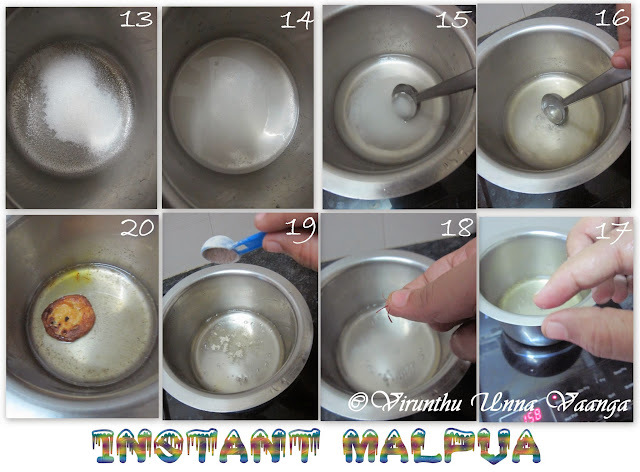 QUICK AND EASY METHOD OF MAKING DELICIOUS AND JUICY MALPUAS!!! wow what a perfect texture.. drool worthy!! 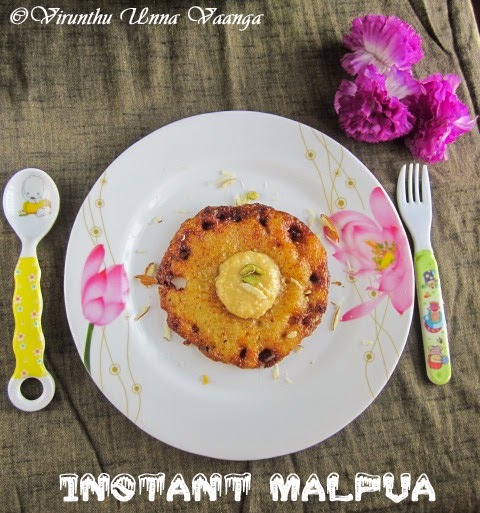 wow so quick and delicious malpuas :) tempts me a lot dear !! 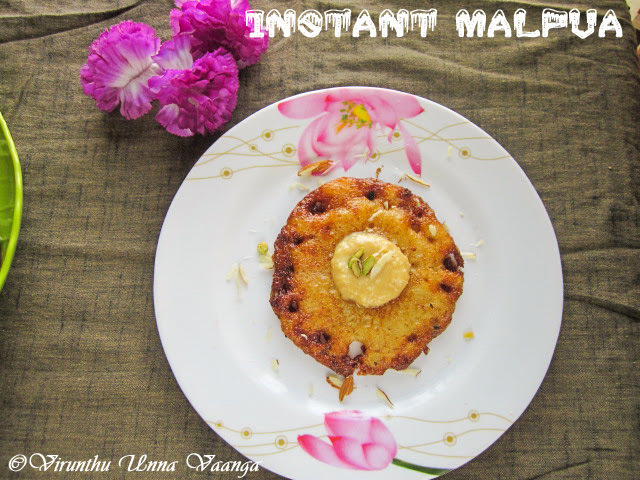 Malpuas a new name to me.It looks like athirasam dipped in sugar syrup. Seriously am in love with this instant version..Malpuas rocks.